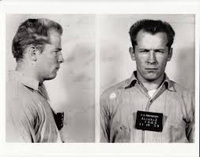 Notorious gangster “Whitey” Bulger reigned over a criminal empire in Boston for decades. This film uses the proceedings of his sensational trial as a springboard to explore allegations of corruption within the highest levels of law enforcement. Embedded for months with federal prosecutors, retired FBI and state police, victims, lawyers, gangsters, and journalists, Academy Award-nominated filmmaker Joe Berlinger pulls back the curtain on long-held Bulger mythology and offers a universal tale of human frailty, opportunism, deception, and the often elusive nature of truth and justice.